RICHMOND, Virginia, September 7, 2011 (ENS) – Dominion Resources, Virginia’s largest utility, says that within five years it will phase out two of its oldest coal-fired power plants – the Chesapeake and Yorktown plants located in coastal Virginia. Dominion Virginia Power plans to use a mix of cost-effective generation, including biomass, new natural gas-fired units and coal-fired units converted to natural gas, coupled with additional conservation and load management programs to meet growing customer demand for electricity over the next 15 years, the company said in a statement. In an update of its Integrated Resource Plan filed last week with the Virginia State Corporation Commission, Dominion said it expects total electricity demand to increase by nearly 30 percent by 2026, even after conservation measures are implemented. The update also includes plans to erect new transmission lines and upgrade others. 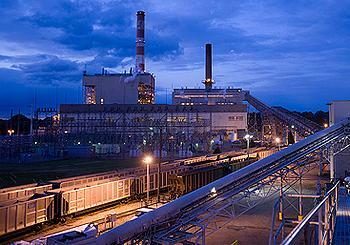 The coal-fired Chesapeake Energy Center would likely close by 2016, the company said. Two of the four units are expected to be shut down by 2015 and the remaining two units likely would be shut down a year later. 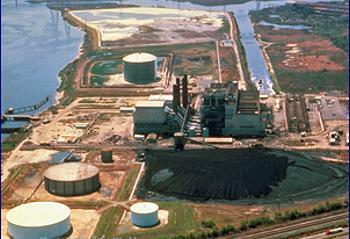 One coal-fired unit at the Yorktown Power Station, would likely close by 2015 and a second coal-fired unit would likely be converted to natural gas. In addition, new air emissions controls may need to be installed on Yorktown Unit 3 and Possum Point Unit 5 in Northern Virginia, two large oil-burning units that provide power primarily during peak demand times. “This is the most cost-effective course to meet expected environmental regulations and maintain reliability for our customers,” said Dominion Chairman and CEO Thomas F. Farrell II. “The spending is consistent with the company’s previously discussed capital expenditure plans and is considerably less than what many other utilities are facing because of the efforts Dominion has undertaken in recent years to install necessary controls at its other stations,” said Farrell. The Sierra Club’s Executive Director Michael Brune, who counts the closure of all coal-fired power plants as a victory for the organization’s Beyond Coal Campaign, was pleased with Dominion’s decision. “Today’s announcement of the retirement of the Chesapeake and Yorktown plants in another critical win for the residents of Virginia,” he said. Among the projects included in Dominion’s environmentally-related expenditure plans would be a new 1,300-megawatt, natural gas-fired, combined cycle power station to be built at a location to be selected. If approved by regulators, the new station would be in service by 2016, Farrell said. Improvements in the transmission grid are planned to maintain reliability in the Hampton Roads area following expected actions at Chesapeake and Yorktown stations. Planned generation facilities include another 1,300-megawatt, natural gas-fired power station to be in service by 2019 and 12 smaller natural gas-fired combustion turbine units coming into service between 2020 and 2026. In addition, the company plans a third nuclear unit at the North Anna Power Station in Mineral, Virginia, to be in service in 2022. “Regarding North Anna 3, we believe nuclear energy must play an important part in providing for our nation’s energy security, reliability and affordability,” Farrell said. The two-reactor North Anna plant shut down during the August 23 earthquake near the plant, with both units operating as designed. Ongoing analysis by both the Nuclear Regulatory Commission and Dominion indicates the earthquake may have subjected the plant to more ground movement than specified in its design. An NRC Augmented Inspection Team has been at North Anna for the past week and plans to continue its work through next week. When the team completes its inspection, the NRC will hold a meeting in the North Anna area to discuss preliminary results, and a final report is expected by the middle of October.